One of Duke's star freshman is officially putting his name into the draft where he's projected to be a top-three pick. 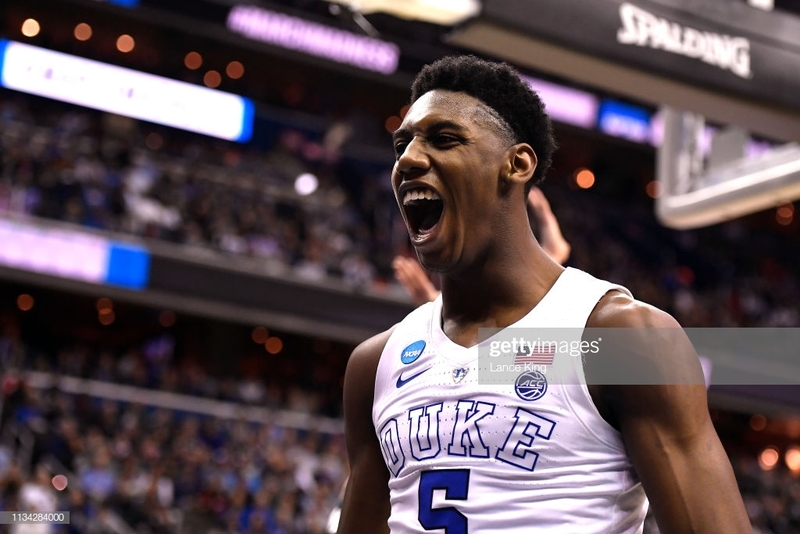 The number one prospect of the 2018 class, and Duke freshman phenom RJ Barrett has declared for the 2019 NBA Draft. Barrett is expected to be joined by two of his other freshman teammates at Duke in Zion Williamson and Cam Reddish in the draft. The Canadian is rated the third-highest prospect behind Williamson and Murray State's Ja Morant. Barrett said in a video released on Twitter declaring his decision, "It was a dream of mine to play at Duke ever since I was a young kid. It was also a dream of mine to play NBA and have great success there. After discussing with my family and coaches, I have decided I'll be declaring 2019 NBA draft." The 18-year-old was brilliant throughout the season which saw him earn first-team honors on the All-America team and the ACC. He averaged 22.4 points, 7.6 rebounds, and 4.3 assists a game. After Zion Williamson blew his shoe out in their first game against North Carolina in Durham, Barrett upped his point tally to over 26 points a game until Williamson came back in the ACC Tournament. In the NCAA Tournament, Barrett's scoring went down just a bit to about 20 points a game but upped his assists numbers to 6 a game. Barrett will disappointingly remember his last tournament game where he missed the front end of a pair of free throws against Michigan State in the Elite 8 as Duke lost by one.